You can use tinned chick peas if you prefer, but I like to use the dried variety as I prefer the taste and texture. 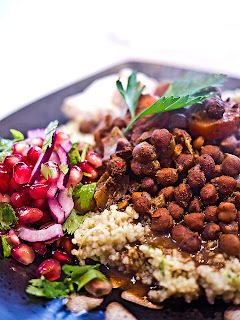 I have several different types of chick peas in my store cupboard, and for this recipe I used the brown ones. Drain the soaked chick peas and rinse under cold water. Cook in salted water according to the packet instructions, usually an hour. Sauté the onion in a little Fry Light over a medium heat until soft. 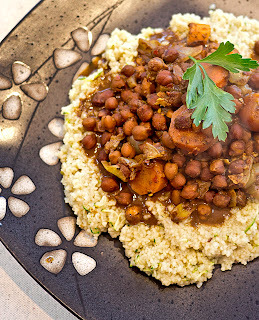 Add the carrots, cooked chick peas and spices and stir well. 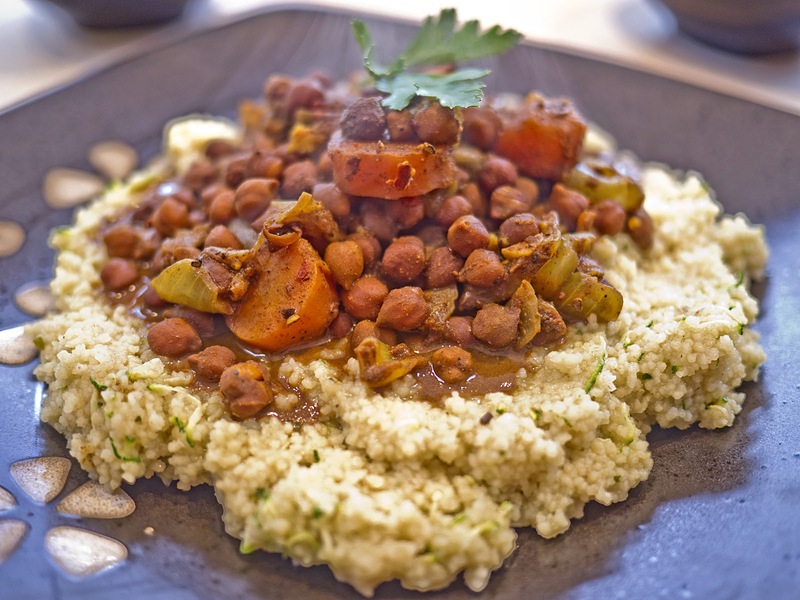 Add enough water to cover the bottom of the pan (I use some of the leftover water from cooking the chick peas) – you don't want it to boil dry, but you don't want soup either. 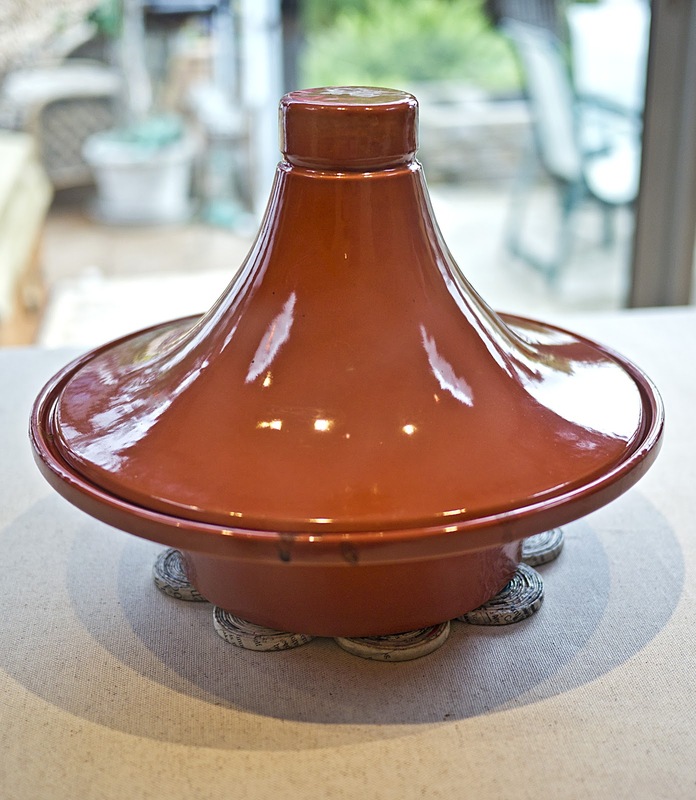 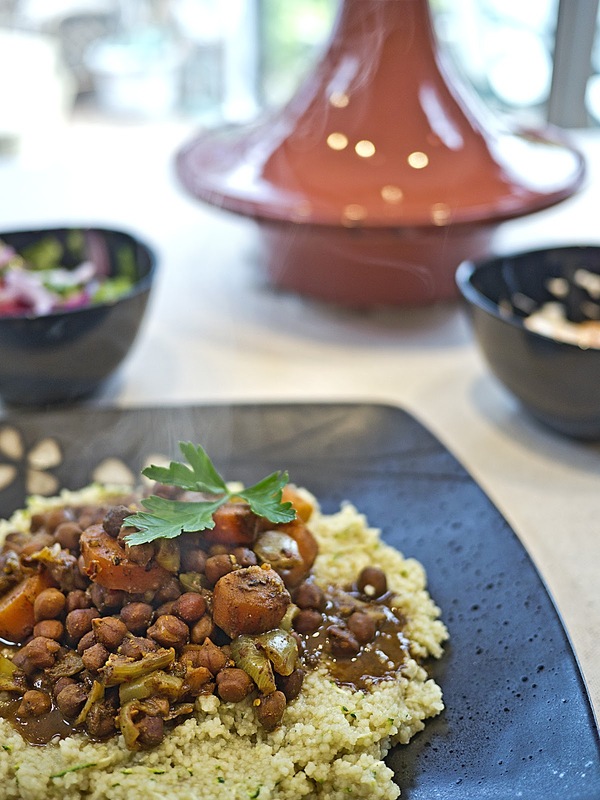 Transfer to a tajine or oven proof dish, cover and bake in the oven at 220°C for 45-60 minutes. 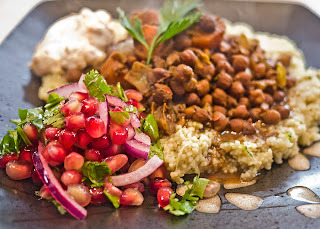 Serve with couscous (I like to cook mine in bouillon powder and grate some courgettes and/or carrots into it for the last few minutes, just to bulk it out and add extra superfree); a pomegranate salad and some plain yogurt swirled with harissa paste.